The calamitous launch of the Obamacare web-site has been an embarrassment to the administration, and a rallying cry for Republican opposition to the landmark legislation. Yet, within short-order, even detractors acknowledge that the web-site will be fixed, the vitriolic rhetoric will subside, and Obamacare, however flawed, will become part of the national healthcare landscape. The real danger of Obamacare is not so much what it does, but what it fails to do. After all, improving access to care for millions of Americans would seem to be a good thing in a wealthy, developed nation…unless that access is to a fundamentally dysfunctional system desperately in need of meaningful reformation. Our system is terribly broken, and Obamacare, despite its 2,000+ pages of text, fails to address the core issue plaguing American healthcare – the issue of insatiable greed. While pundits pontificate on Obamacare’s failure to launch, our nation is spending more than $7 billion per day to fund a bloated, dysfunctional system that, at times, seems to exist more to line the pockets of the few, than to meet the health care needs of the many. 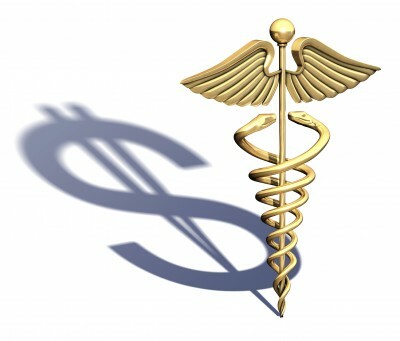 Greed has driven our nation’s healthcare bill from a paltry $12.7 billion in 1950 to $2.7 trillion in 2013. It has catapulted healthcare to the top of the hit parade relative to GDP expenditures…accounting for approximately 18 percent of our nation’s gross domestic product. After spending thirty years working within the healthcare system, I can attest to the fact that the American healthcare system is without peer when it comes to creating wealth for certain stakeholders. You need look no further than the profits of the pharmaceutical, biotech, and medical device manufacturers for proof. The real question we should be asking is: Why does our society allow an unparalleled level of profiteering to occur within the healthcare industry? Why should we pay $10 for an aspirin and $500 for a bottle of saline (saltwater) when we are hospitalized? Part of the answer can be found by looking at the strength of the medical-industrial complex. As is evident from this quote, Ike did not merely coin the term, but also admonished the American people to be wary of the growing clout of the military-industrial complex. The very abuses that Eisenhower envisioned occurring within the military-industrial complex are today rampant within the medical-industrial complex. Such abuses drive-up costs of our care at the expense of quality and accessibility. Proof is rampant. Here’s a teaser: According to a report published by OpenSecrets.org: “Total annual lobbying in 2012 for pharmaceuticals and health products, which includes: medical products, dietary and nutritional supplements, etc. = $234,104,389.” What kind of influence does $234 million buy one? When will we take off our blinders and redirect our focus from the red herring that currently taunts our highly divisive politicians, and instead focus on an issue desperately in need of a solution – the issue of rampant greed? Until then, we will continue to be mired in political rhetoric regarding our current attempt at healthcare reform that has little to do with true reformation of the delivery system. This is true that GREED is a driving force in the healthcare industry. Obamacare did not create it, our society did. It did not happen overnight and it will not be fixed overnight by Obamacare. However, there has to be hope that 30 years from now, America will be stronger economically because of healthier people. These healthier people will be more aware of what happened historically and be certain history does not repeat itself. Thank you for sharing.